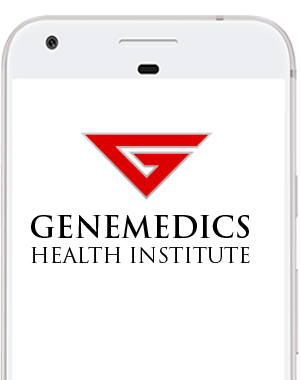 The Genemedics® Health App is the most flexible health app available today. It connects seamlessly with virtually every smart device on the market. Use the app on its own or sync it with your Apple Watch, Fitbit, Withings, or almost any preferred wearable health device. Our food database is simply the best! Scan your foods for easy upload into the Genemedics® Health App and log your calories, protein, fat, and carbohydrates. Our huge library gives you greater accuracy and control over your diet than almost any other health app. Don’t have a wearable device to track your steps and calories? No problem. The Genemedics® Health App makes it easy to track your calories burned and fitness goals while integrating your fitness program into your nutrition plan. The Genemedics® Health App is your personal fitness assistant. Let it keep track of your supplement and medication schedule with helpful reminders so you’ll never fall off track. The app even works as a faithful workout partner, reminding you to work out and logging your progress in the gym. Your lifestyle coach, trainer, or health care practitioner can use this information to tweak and design your optimal exercise program. It’s never been easier to reach your health and fitness goals. Are you taking 10,000 steps a day? The Genemedics® Health App makes it easy to track your steps per day and figure out how much distance you’re covering. Goals are an essential element to getting and staying healthy, and no health app makes it easier to track your progress. The Genemedics® Health App makes it easy for you, your physician or your lifestyle coach to set goals for blood pressure, fat loss, body fat percentage, muscle gains, fitness levels (VO2 max), resting metabolic rate, and much more. You’ll have better information than ever before. Our app is the only app with the comprehensive Genemedics® exercise video library built right into the app. You can access videos while you’re exercising to make sure your form and technique is perfect so you get the maximum results. Before/after pictures and a description of the exercise are also available. That’s right: the Genemedics® Health App is your new personal trainer! 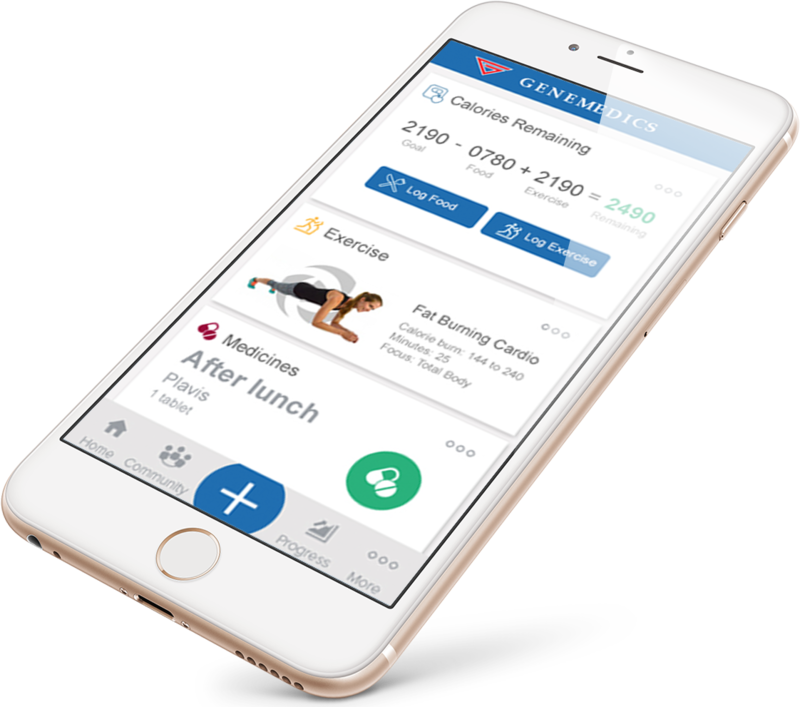 The Genemedics® Health App is the ultimate tool when it’s used in conjunction with your personalized Genemedics® fitness and health plan. The app makes it possible for your lifestyle coach to closely monitor your nutrition, supplement, and exercise progress on your journey to a healthier, better you! Once-a-month meetings are generally recommended with your lifestyle coach, but you and your lifestyle coach will determine the best meeting frequency for your schedule as well as helping to keep you on track towards reaching all of your health and fitness goals.